Spot whales off the coast, go scuba diving in the warm ocean water and explore the cultured cities, and a spring break destination too, in this idyllic Mexican state. 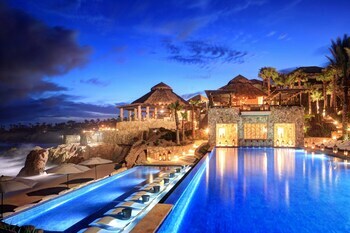 Baja California Sur is known for its excellent beaches, charming villages and cave paintings. Among the smallest of Mexico’s states by population, it blends the culture of historic cities with the scenery and serenity of beach resorts. Unwind in the resorts and get a sense of the culture in the cities. Enjoy the warm sea temperatures and sunny summers on the coast. The climate here is mostly dry, although wetter in the south. 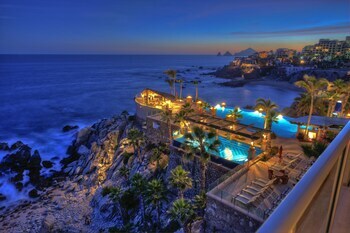 Among the most popular parts of the state is the Los Cabos area, at its southern tip. 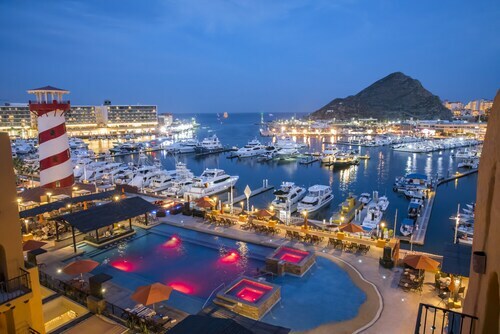 Visit the resort town of Cabo San Lucas, known for luring spring break crowds and as a cruise ship stop. Popular strips of sand here include the Cannery Beaches, Chileno Beach and Las Viudas Beach. 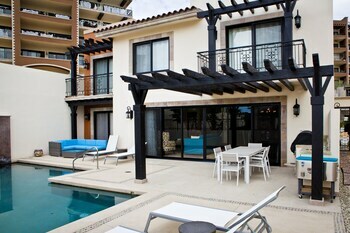 Solmar Beach, Nikki Beach and Santa María Beach are also among the highlights here. Capture photos of the idyllic rock formation of The Arch by the eastern Lovers Beach. Browse the boutiques and restaurants in Plaza Bonita Mall and Puerto Paraíso Mall. 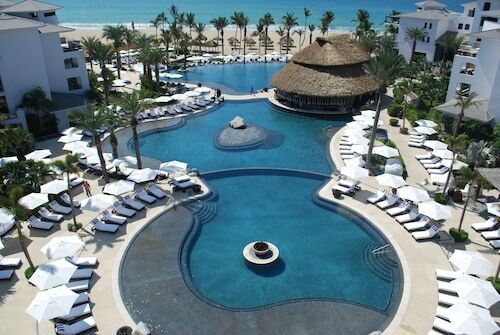 Travel east for 20 miles (33 kilometers) for San José del Cabo. Relax on Little Beach and Palmilla Beach. 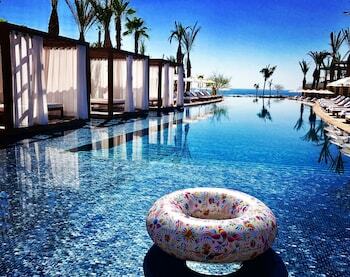 Among the highlights is the Dolphin Discovery Puerto Los Cabos, where you can swim with these playful creatures. Make your way north to La Paz for its picturesque waterfront and beaches. Visit the Whale Museum and take a tour to see California gray whales during the season from December through March. In the northern part of the state is the quaint village of San Javier. Explore the impressive Mission San Javier, one of the founding missions from the 17th century. Ride a horse to nearby Loreto and wander through the Loreto Bay National Marine Park. The state of Baja California Sur consists of the southern half of the long peninsula that hangs down from California in the U.S. 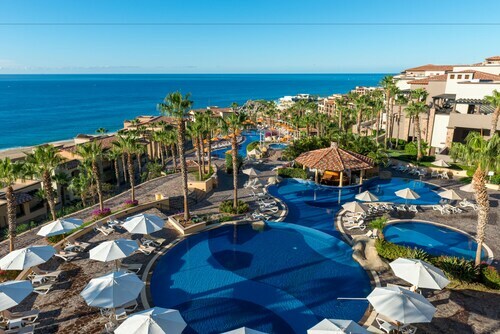 Rent a car to get around the province, after arriving at Los Cabos International Airport or Manuel Márquez de León International Airport. Take a ferry from the peninsula to Mazatlán on the mainland. 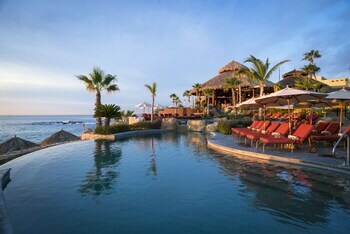 Baja California Sur has spectacular beach resorts and opportunities to spot whales and dolphins. 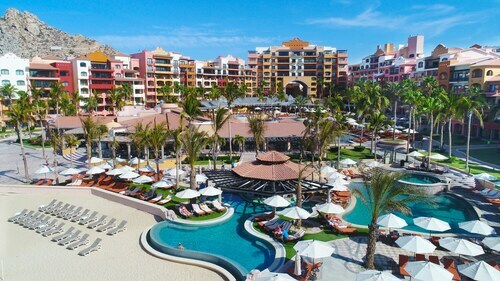 Located 1 mile from downtown Cabo's shopping and nightlife, this fun, family-friendly resort along Medano Beach offers incredible views of the Arch and Land’s End. 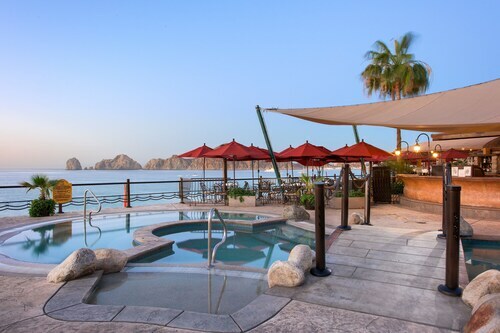 Secluded on the Pacific Ocean side of Baja California's tip, this beachfront all inclusive resort is terraced into a landscaped hillside providing panoramic views of the ocean and picturesque shore. Edmonton Intl. 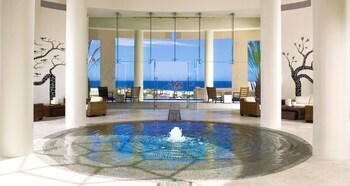 - Los Cabos Intl. Calgary Intl. 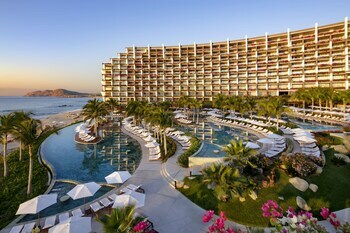 - Los Cabos Intl. Vancouver Intl. - Los Cabos Intl. Mon., 18 Nov. - Wed., 20 Nov. Mon., 4 Nov. - Mon., 4 Nov.
Flights from Stanfield Intl. to McCarran Intl. Flights from Greater Fredericton Intl. to Pearson Intl.